Well they all have now (the last was uploaded on 5 January) and even the brief notes from our session appear to have been replaced with a fully transcribed version and is available (as of 6 January). Perhaps my initial cynicism may have been misplaced! Or perhaps my recent Twitter comments brought this about. Well now, several days after the last session, all now have “notes” linked. Perhaps it will help with the inquiry report, perhaps not. It is as disappointing as it is suspicious that the other three sessions have full and detailed “notes” of 18-24 pages each, whilst our session (2nd) has a little over a page of notes for a session lasting 2 hours. Maybe I am being cynical, but perhaps the “notes” from our session were provided to “help” those following mitigate or negate our recommendations to the committee. Only time will tell whether this important APPG Inquiry has been worthwhile. Ahead of the publication of this APPG Inquiry Report in a few weeks, I thought it would be “useful” to list below, the recommendations made by those few that can be regarded as 100% independent from the house building industry or other organisations with close ties to it and personal interests to protect, who may be inclined to attempt to influence the final report and maintain the current inadequate regulation of UK new home building. There is a need to increase build quality of houses along with quantity. A third of new buyers are dissatisfied with the quality of new houses. House builders have no long term financial interest after a new home is sold as repeat custom is highly unlikely. A survey revealed that 75% of homebuyers would choose not to buy a new build home built after 2003. 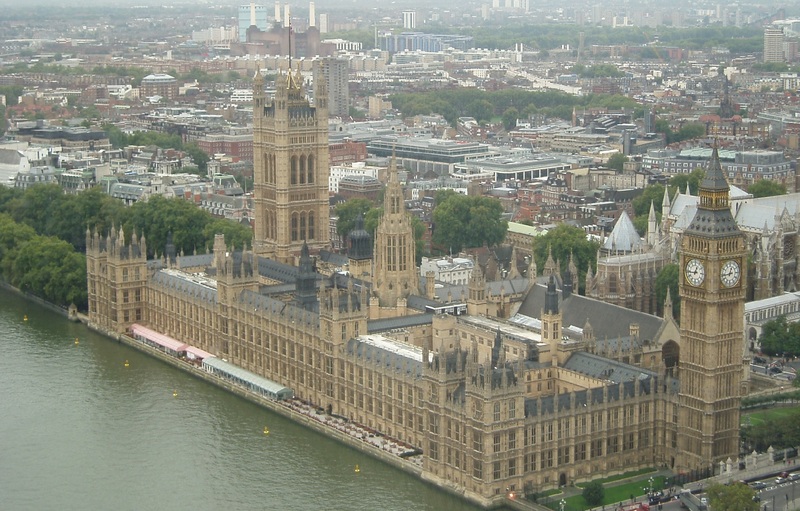 There is an excessive imbalance in the parties’ relative bargaining that enables housebuilders to operate with relative impunity in relation to defects. There is an industry-wide tolerance of poor construction standards. The law in relation to defects in the building process is unclear and unhelpful to those affected. Housebuilders make it extremely difficult and draining for residents to follow up with them and fix defects. The NHBC and housebuilder’s costs are kept low at the expense of homebuyers. The HBF New Home Customer Satisfaction Survey and the Consumer Code for Home Builders is not working as politicians believe it should be. It favours housebuilders! The Consumer Code for Home Builders is ineffective. It offers no resolution for poor quality homes or complaints about warranty. Housebuilders are only responsible for the homes they build for two years after completion which is insufficient. Housebuilders can and do, substitute materials and products with cheaper, less reliable versions after plans have been approved, without consultation with the architect, planning, building control or buyers that may have purchased based on out-of-date plans. New homebuyers have very little consumer protection (other than to take costly legal action in the courts) which is being exploited by housebuilders and warranty providers who many new home buyers believe are working together looking after their mutual interests. There is a lack of competition to force the house building industry to care for the consumer. Building Control and warranty stage inspections details are kept secret. A new homebuyer’s emotional stress of dealing with housebuilders and attempting to get defects rectified is a health issue as much as those covered by building regulations. Heart disease, cancer, infections, anxiety, depression and gastrointestinal disturbances result from a threat to an aspect of well being, central to a person’s identity, hanging over them for a prolonged period of time without the power to influence it. That describes the situation of victims of quality issues in their home under our present system. Consumers deserve quality. New Homes Ombudsman to give buyers access to an independent government appointed body to provide support, help and a process for redress for any dispute with housebuilders or warranty providers. The NHO ordering housebuilders and/or new home warranty providers to pay buyers justifiable compensation awards. Withdrawal of state funding subsidies such as Help to Buy from house builders that fail to deliver or improve the quality of their homes and/or levels of customer service. The need to measure real costs and benefits to health and wellbeing for the long term. Not just focus on cost-efficiency to completion. Redress the balance between homebuyer and homebuilder in Sale contracts. Certainty is vital if homeowners are to routinely enforce the terms of their sale contracts. A standard form of contract is required similar to the Law Society Standard Conditions of Sale. The Law Society Standard Conditions of Sale would enable conveyancers to advise their client buyers better. The inclusion of detailed written information (plans, specifications etc.) to buyers as part of the normal conveyancing process so buyers know what they have contracted for. Housebuilders should be required to provide written confirmation of all verbal representations. A mandatory right (included in the standard form of contract) for buyers to be granted access at least five working days before completion to inspect (or have someone else inspect) their property. This would give buyers an opportunity to negotiate a retention and postpone legal completion. A legal requirement for qualified inspectors (Professional Snagging Inspectors), chosen by the buyer and paid for by the housebuilder to independently snag and inspect all new homes before legal completion. Housebuilders should be prevented from serving notices to legally complete prematurely, or concealing major defects until after they have received the full purchase price. This would encourage better quality control and site management pre-completion. Change the housebuilder bonus culture away from production, making quality, customer satisfaction and after sales service a large part of the KPI bonus calculation. New minimum standards of customer service are required to improve the almost non-existent after sales service experienced by most new homebuyers along with overall quality of new homes, by requiring all housebuilders to be proactive and demonstrate improved measurable KPI year on year. Regulations to force housebuilders to build larger, healthier new homes. The new Space Standards should be improved and incorporated in the Building Regulations. Britain should not be building the smallest, darkest new homes in Europe. The practice of builders substituting specified branded products with others, even if these meet building regulations, should be banned unless the architect/civil engineer authorise the change in writing. Warranty policies should be jointly-assigned to the leaseholders not the freeholder. This is particularly relevant to blocks of flats. Fully independent electrical and gas inspections. There should be an end to the current box-ticking, self-certification by those installing. Fully independent “New Home Customer Satisfaction Survey” for EVERY new home built, conducted by a totally independent and autonomous government-appointed body such as the OFT, with all results and a housebuilder league table made public. Builders should be incentivised to get things right the first time, lowering costs as post completion repairs cost more. Housebuilders to be responsible and liable for defects occurring for the first FIVE years after completion, not two as at present. This would encourage housebuilders to be more quality focused. Introduce mandatory workmanship standards and lower tolerance for defects with reference to ‘Quality’ in the Building Regulations and Warranty Standards. There is a real need to replace the “should be” guidance with mandatory “must be” requirements, to remove any ambiguity and ‘wiggle room’ to ensure better quality workmanship. The law should change so the Ruxley ruling (allowing cash to be paid instead of fixing a defect) only applies where rectification is indeed disproportionate. Proper stage inspection systems should be in place to confirm compliance with mandatory technical and quality standards covering everything that the consumer reasonably expects, supported by a comprehensive warranty. A photographic record of construction and during every mandatory stage inspection should be taken for future investigation of issues. Warranty providers should not provide their warranty on the basis of blind faith in a builder or a probabilistic assessment of risk. These photographic records and records of inspections and all certification should become part of the deeds of the property, available to future purchasers. Builders should be liable for the full Statutory Limitation period of 6 years not the reduced liability that NHBC Buildmark clauses allow of just 2 years. An end to “gagging clauses” aka confidentiality clauses used by both housebuilders and warranty providers such as the NHBC. Consumers have a right to know what settlement was reached. Openness can only improve quality and service in the long term. End the practice of landbanking by housebuilders to encourage competition. Warranty providers should be regulated and independently audited. It is hoped that most of the proposals we suggested, on behalf of thousands of UK new home buyers, dissatisfied with the quality of their new homes and the service offered by their housebuilders, will be included in the inquiry final report. 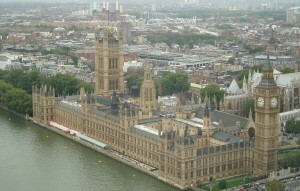 There is an expectation that this APPG inquiry’s recommendations would be fully implemented by government, through additional regulation and legislation if necessary, to improve the lives of the many people who have bought and will buy a UK new build home; especially as in all likelihood, that in doing so, it will be relatively easy and at no cost to the taxpayer. This entry was posted in New Homes, Snagging and Quality and tagged APPG Inquiry Into Quality of New Homes, customer care, house builders, new homes, new homes ombudsman, NHBC, quality, snagging, standards. Bookmark the permalink.